Thoughtful design and decor touches can make all the difference when you want your home to truly feel like your own personal oasis. Adding bright pops of colour can be an effective way to personalize your space, and can help to create a space that feels welcoming, warm and just like home. For the past 20 years, Pantone has released it’s annual Color of the Year each December, a highly anticipated reveal that inspires designers in multiple industries. 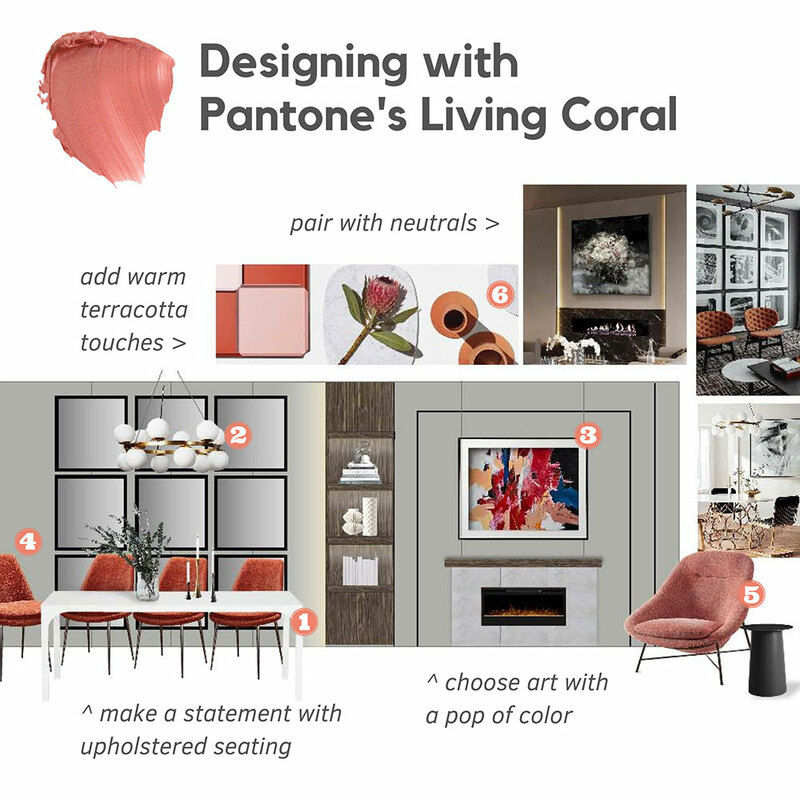 2019 is the year of Living Coral –Pantone 16-1546 – a bold peachy-orange tropical that Pantone calls a “nurturing color that appears in our natural surroundings.” Warm and comforting, this vivid shade is influencing product development and purchasing decisions in the design world, including home furnishings and industrial design. And it’s easy to embrace! Living coral works well with timeless neutrals and true classics alike. While painting a whole room may feel like a daunting undertaking, adding splashes of this trendy color in accessories and furnishings can really make an impact without the same commitment. Onni’s Maxime Zentner, Senior Interior Designer specializing in multi-residential design, recommends starting with textiles, art and accessories. “Don’t be afraid of color – just add a bit at a time. You can always switch up toss cushions, add terracotta table accessories, or try a fun area rug to soften a sharply modern room.” If you’re really commitment-shy, try fresh or potted florals!